When I started my podcast, Made Online, earlier this year I was excited to try something new. I’d been blogging for seven years and (although it will always be my first love) I felt like I needed to learn a different skill and expand my repertoire to ensure my presence was kept relevant and fresh. Although I’ve dabbled in YouTube before (I’m really not very good at filming or editing!) I’m fundamentally a writer and storyteller, so I wasn’t quite sure how the transition was going to go. Fifteen episodes in, however, and I’m thoroughly enjoying this new challenge – and it seems all of you amazing listeners are too! I’ve been loving the feedback, conversation and amazing comments since it launched and have been so thankful for all the guests who have given up their time to share their stories. 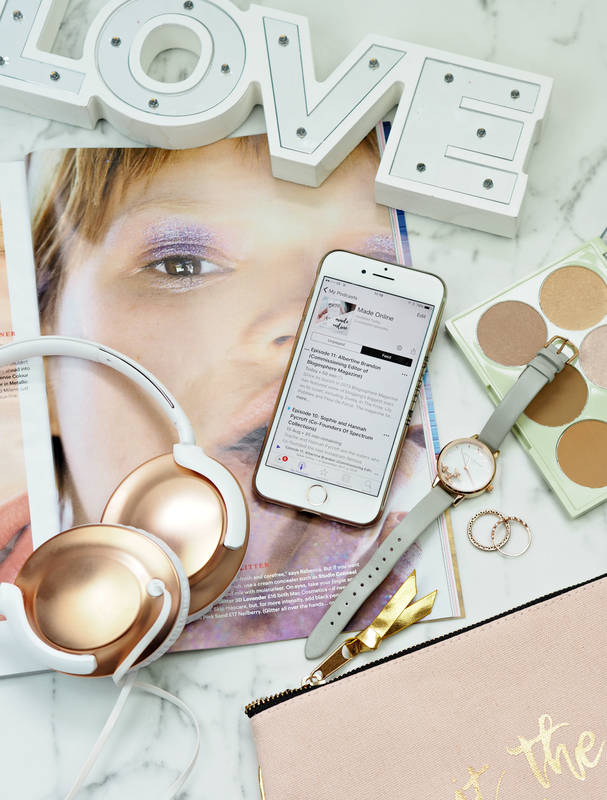 So a few months in, what have I learned from this fabulous new world of podcasting? What’s been the biggest learning for me is that you don’t have to be a superstar or have an incredibly successful business to have an interesting story; sometimes the best stories are in the intricacies of determination or a great idea, or even just a chance meeting or conversation on Twitter. The guests I’ve really loved interviewing the most have been the ones you may not have heard of before, but their stories and life experiences are truly inspirational and even quite moving. Sometimes the people you think will be really interesting actually don’t have much of a story to tell either! Although seamless audio and professional quality background edits are great, what I love about podcasts is that they’re all a bit raw and real – not unlike what blogging was back in the day. I’ve no doubt that as podcasting progresses and more of us launch our very own that they’ll evolve to be as slick as many YouTube accounts, but for now I love the awkward silences and random giggling fits; the stumbling over words or the mild rambling makes a podcast, which is really quite refreshing against a backdrop of perfection everywhere else. As someone who tries to blog five times a week and is always giving you something new to come back for, the low frequency of podcasting is lovely. Only having to worry about one piece of content a week is so refreshing, especially as it takes a good day to plan, prep, record and edit each episode! Even if I miss a week or take a little mid-season break, I don’t feel guilty because people will just be able to listen as soon as I have the time to upload a new story. I’ve no doubt I’ll continue to learn from being a podcaster and I may even launch a new one in the next few months (watch this space!) 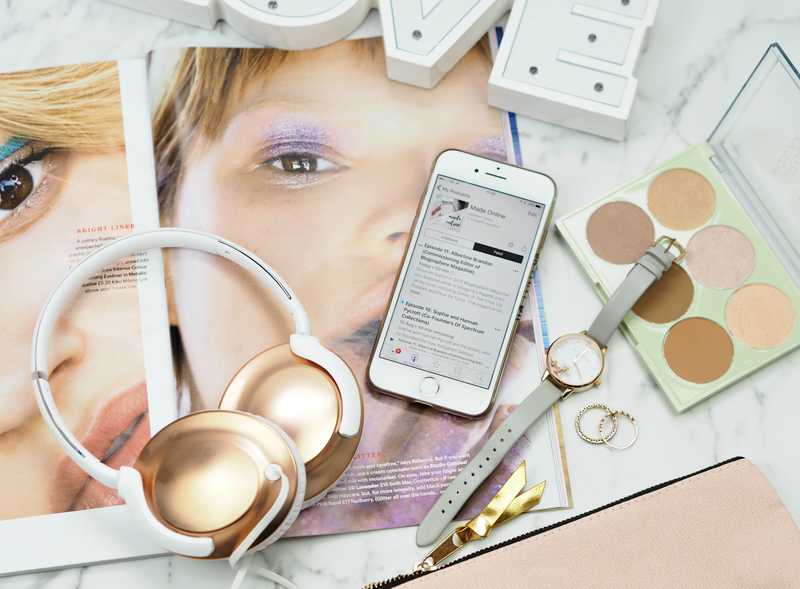 My love for the format has yet to wane and I’m always in the market for something new to listen to too… Although I’ve covered off eight of my ultimate fave shows before here, there are some new additions to my podcast roll (is that even a thing?!) that I wanted to share with you. Almost like an audio version of Heat Magazine, this weekly podcast discusses what’s going on in the celebrity world and dissects the current events that are making the Daily Mail’s column of shame. It’s a total guilty pleasure, but if you love celebrity life or just getting to know what’s going on in the world of showbiz, this is an easy listen you’ll definitely enjoy. The hosts have a fascination with Prince Harry and Megan Markle too, so if they keep popping up that’s why! Okay, okay, I know I’m obsessed with serial killer and missing people, but they’re just such good backdrops for a podcast – you can use just enough of your imagination to keep it interesting, while splitting it into episodes allows them to delve deeper into the story. This is a fascinating account of a whole family being slain in their home, only for one son to survive and be accused of the atrocity; he went to prison for the crime but was later acquitted, and Black Hands tells the story by looking into other potential perpetrators… Including the murdered mother! I’m obsessed and can’t quite make up my mind up or decide what I think. The newest podcast from Emma Gannon, this refreshingly open and honest account of all number of issues is a great one to listen to while on a commute; it’s thought provoking and covers relevant topics (including celebrity culture, clean eating and being single so far) in a chatty way. Although there’s a different ‘celeb’ guest each week, I feel like the guests could be me or you – it doesn’t feel scripted or overly edited, which is really quite invigorating. I was so late to this party and a lot of the episodes don’t really work if you’re listening in weeks or months later, but I do enjoy the chatty and witty nature of this podcast hosted by Pandora and Dolly. They chat through issues of the week, books they’ve read, what’s in the news, stuff they’re watching on telly, hot topics and so much more. Another easy listen, even if you won’t come away with a fountain of new knowledge! The preview of this landed months ago and I was instantly intrigued: it’s super slick and well researched, positioning itself as more of an audio documentary than a ramble on about current affairs. Estée is well established as a blogger and her forray into podcasting hasn’t disappointed so far; she’s started off with episodes that include protests, tattoos and makeup (no surprise there!) and I can’t wait to hear what’s next. A great intro into podcasts and the perfect way for Estée to reach a new audience. Do you have any podcast recommendations you think I’ll love? Have you listened to Made Online yet? Don’t forget you can listen to all the episodes of Made Online via the website (www.madeonlineshow.com), iTunes Store or your usual podcast provider. Subscribe and leave a review if you have a few minutes – it really helps to increase visibility! Next Post NEW Lancôme Monsieur Big: Do You Really Need To Spend £20 On A Mascara? I really enjoy Made Online and have listened to every episode. Another podcast I love is The Snailcast, an Asian beauty podcast produced by a group of American beauty bloggers, it's really fun and informative to listen to. Thanks for your support Joanne! And I'll definitely download that to listen to… Always looking for new shows.